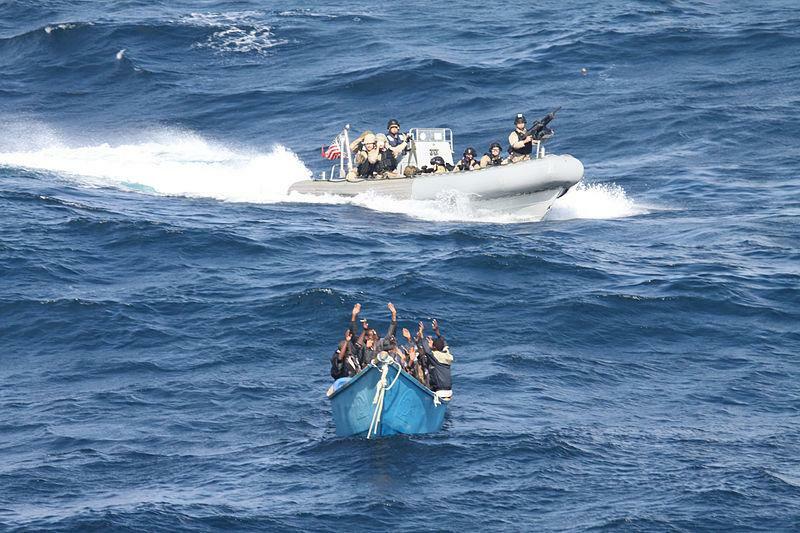 In 2000, a band of semi-trained young men in a rubber dinghy blew a hole in the U.S.S. Cole, a multi-billion dollar ship of war, shocking the world, killing over a dozen sailors, and making global headlines. Measured in terms of the cost of the attack versus the damage inflicted, the return on investment proved to be astronomical. A terrorism budget of less than $100,000 did millions of dollars in damage and purchased the equivalent of a massive international advertising campaign that bolstered the notoriety of Al Qaeda, the group responsible, to historic heights. The nation-state is now bound up in a straitjacket of constraints. The core of its strength, its ability to marshal resources and take actions that exceed the power of any smaller organization, has been made increasingly impotent. The brazenness of the attack on the Cole, and the fact that non-state actors achieved it, signified an historic change. The American military turned to the private sector for assistance in fighting this new asymmetric war against mostly non-state foes. Erik Prince, the founder of Blackwater Worldwide, soon after won the company’s first Federal contract to provide security training for sailors. Turning to a private military company for support may have been a consequence of the general policy trend at the time — the notion that government services could be privatized while still being funded by tax revenues had become popular with both parties, albeit with some controversy — but it would eventually snowball into a far larger industry in the wake of the attacks of 9/11/2001. During the Afghan and second Iraqi wars, modern mercenaries would make their mark. By ideology, convention, and international law, modern governments have generally eschewed the use of mercenary companies in favor of national militaries. The era of monarchies made greater general use of mercenaries than later popular governments, for various reasons. The ideology of popular government rests on the notion of the shared rights and responsibilities of citizens, whereas an aristocratic society may have neither the financial resources nor manpower to either maintain a standing army nor raise one on short notice without paying for it. The Knights Templar were a sort of a medieval Academi (the new brand name of Blackwater Worldwide), originally charged by the Vatican with providing security to Christian pilgrims following the First Crusade. The militia tradition of the United States and especially the levée en masse established during the French Republic broke with common military practices, and the two World Wars further established the norm of using mass conscription instead of professional military units to fight wars. Modern mercenary companies avoid the use of the word ‘mercenary,’ and newspaper writers avoid using the word when referring to members of “security services providers.” This is a useful legalistic evasion of the terms of the United Nations Mercenary Convention. While the United States has never signed the convention — and plenty of the signatories, like Liberia, are incapable of enforcing it even on their own territory — a number of developed countries are signatories and domestic political debate in the United States recognizes the norm behind the convention by refusing to call mercenary companies what they are in plain language. The Geneva Conventions also have a section stating that none of the protections otherwise afforded to prisoners of war apply to mercenaries. The law considers mercenaries to be ‘unlawful combatants,’ and as such, American companies are careful to operate within the arcane confines of international law, generally providing logistics support to client militaries, along with securing facilities & high-value individuals. All of this makes it extremely challenging to start and run a mercenary company in the modern world, even though it’s technically the ‘second oldest profession’ in history. It’s illegal, or at least frowned upon, to practice the trade openly. There are limitations on the procurement of tools for employees, conducting training is politically difficult, and the press usually considers the trade to be morally abhorrent. Despite this, the economic factors in play have begun to overpower the legal and cultural resistance to the re-emergence of private soldiering. Private military firms in the U.S. recruit much of their staff directly from the Department of Defense: the publicly-financed military effectively subsidizes the training that provides these companies with their talent. The firms that are working for the U.S. government are usually heavily regulated, with their weapons carefully tracked, and in most situations are under the direct command of military authorities. This political aspect of the private military industry is changing. As the American commitments in Afghanistan and Iraq wind down, private military companies are finding new roles in the international ‘bazaar of violence.’ The increase in piracy in the Gulf of Aden and in the Indian Ocean, along with the relative difficulty that national navies have had in providing effective security in the region, have reintroduced the old historical and economic role for both mercenaries and merchant marines. When pirate attacks threatened to drive up insurance costs for shipping in the area, major shipping insurance companies banded together to both lobby to loosen international regulations on arming ship crews and to fund a private naval force to defend against pirate attacks. British PMCs in particular have begun to establish themselves in the trade, as have firms from India and Sri Lanka. Some American companies like AdvanFort even publish press releases of their military exploits, complete with posed photos of mercenaries in action, ideal for sharing on Facebook. Simon Murray, the chairman of the massive international conglomerate GlenCore, has also started a firm called Typhon to patrol the area. Unlike the Private Military Contractors (PMCs) that made headlines during the Iraqi and Afghan wars, these firms are less public-private in essence and are more private companies serving other private companies for private purposes. The growth of this industry in recent years has not been without retaliation from both regulators in the U.S. and worldwide — the Indian government arrested 35 crewmembers working for AdvanFort in October 2013, citing offenses related to the arms and ammunition on board. The company has taken to its Twitter account to protest the capture of their sailors. On the ground, mercenary armies like the Puntland Maritime Police Force have run into difficulties with funding and politics, as occurred with the Puntland company when its backers in the United Arab Emirates and the United States withdrew funding, leaving behind thousands of unpaid mercenaries in Somalia. When an internet startup goes bankrupt, all that’s left are a bunch of Aeron chairs and some computer equipment. When a mercenary company goes bankrupt, the hired guns start to look for new employment and entertainment. There’s even a trade group representing maritime security providers — the Security Association for the Maritime Industry — which has been endorsed by Lloyd’s of London, one of the most prestigious and successful insurance firms in the world. SAMI lists dozens upon dozens of PMCs from countries ranging from Estonia to Germany, Singapore, the Netherlands, and Switzerland. While these companies may prefer the PMC acronym to describe themselves, in historical terms, they’re essentially privateers. Many of the companies listed claim to have been founded quite recently — many between 2000-2010. Some prefer more reserved, professional-sounding branding, others, like the Marine Pirate Busters, prefer a little more bombast. Since the growth of PMCs in the area, the United Nations reported this year that there have been no Somali hijackings in the region since 2012. Unlike the wars in Iraq and Afghanistan which had challenging, idealistic strategic incentives and non-economic motivation, the conflict in Somalia has clearly defined costs in the form of insurance payouts to hijackers, which makes it easier for private companies to calibrate what resources to expend on resolving the threat. Facing resource constraints, the U.S. and other allied governments are becoming less capable of providing security on sea lanes. Further, foreign governments are perhaps understandably jumpy at the prospect of permitting heavily-armed privateers to use their waters. Diplomats know how to speak to other diplomats, but conducting diplomacy with dozens of private security corporations is not the same. Similarly, nationally-managed navies are not necessarily structured in such a way that they're capable of fighting non-state foes (like poor pirates armed with cheap rocket launchers piloting zodiacs) in an economically efficient way. “...The first casualty [of a black swan event] in the United States will be the ultra-bureaucratic U.S. Department of Homeland Security, which, despite its new extralegal surveillance powers, will prove unable to defuse the threats against us... Furthermore, the extra police powers that it will be granted in the wake of these attacks will be counterproductive because these powers will only serve to divide the United States and generate a significant base of domestic dissent and vociferous debate. Security will become a function of where you live and whom you work for, much as health care is allocated already. Wealthy individuals and multinational corporations will be the first to bail out of our collective system, opting instead to hire private military companies, such as Blackwater and Triple Canopy, to protect their homes and facilities and to establish a protective perimeter around daily life. With the public debate surrounding the revelations of Edward Snowden — himself, essentially, a former cyber-mercenary working on contract for the National Security Agency — in early 2013, fulfilling at least some of Robb’s predictions for the future of security, it may be sensible to take notice of them now. Lest he be dismissed as a crank author, no less a representative of mainstream thinking than David Brooks saw fit to blurb the book jacket, and James Fallows, writer for The Atlantic and winner of the National Book Award, wrote the foreword. In another continuation of this trend towards private provision of security in the U.S., The San Francisco Gate reported in September that the private law enforcement industry has been earning hundreds of new subscribers in Oakland, supplementing the over-extended public police force. Like mercenaries elsewhere, current laws prevent them from taking over the functions of their publicly-financed authorities — but perhaps as has happened elsewhere in the world, the sheer demand for safety will cause laws to shift. The price cited for protection is $20 per month. This post was written by contributor JC Hewitt.